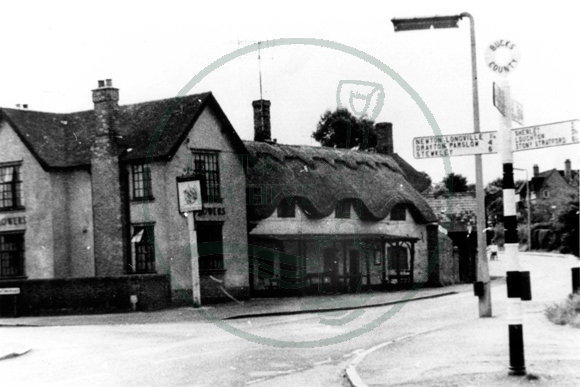 The Shoulder & Mutton Public House sited on the Junction of Buckingham Road and Newton Road, Bletchley. Date unknown. As a two/three year old in the mid 50s, my father would walk me down Newton Rd on a Subday and we would end up at the Shoulder of Mutton, where he would sit me on the piano in the bar, while he had a drink with his ftriends and someone would be playing the piano, when the old Shoulder of Mutton closed down, it’s location moved across the road and the new Shoulder of Mutton was opened. A minor correction – if my memory serves the pub name was actually The Shoulder of Mutton, as in the cut of meat.